Explore an unknown barge off the shoreline of Inland Steel just east of Hammond Marina. Today the wreck is a sitting upright in 40 feet of water, and it is a huge wreck that is nicely intact. 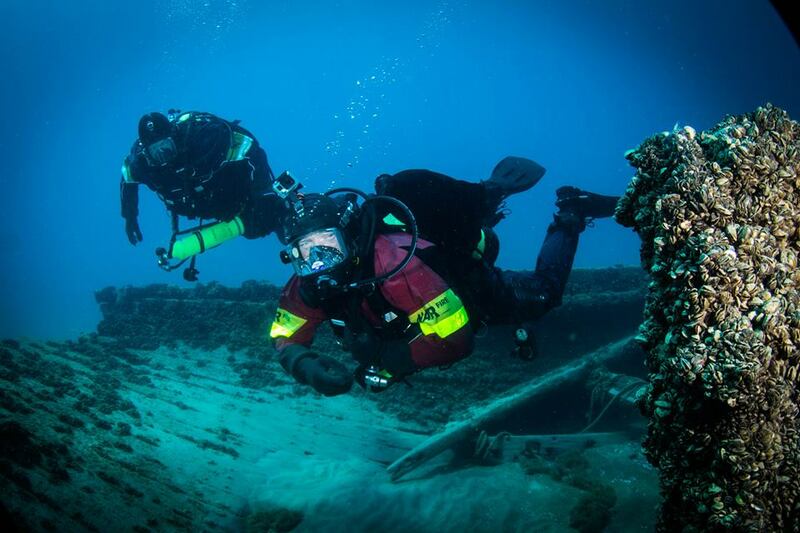 This wreck offers an exciting dive platform with a ton to see, as well as swim throughs for properly trained divers. Making this an amazing dive for both beginner and advanced divers. Due to the size of this wreck divers have the opportunity to complete multiple dives on this site, and still not see everything.